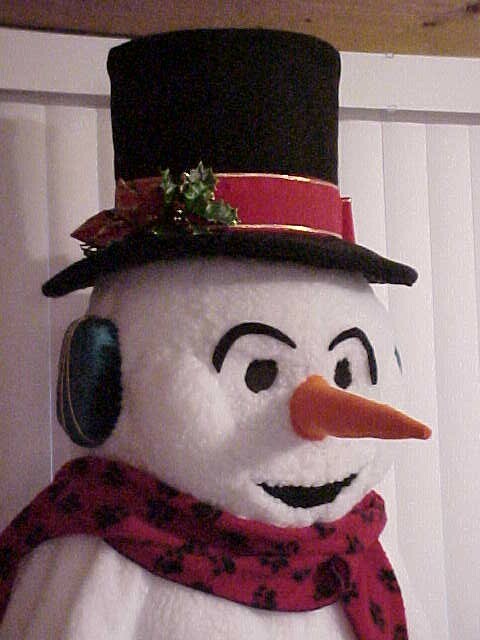 Here Comes Frosty the Snowman, he has a full body suit made of white fake fur with a zipper in the back, and black buttons down the front. The neck is lightly gathered with elastic to insure a great fit as well as the wrist and ankles. He comes with white mittens, and black boot tops. The head is fully lined and padded, and is constructed on a nice soft foam base. The scarf is attached to the head with plenty of room to wrap anyway you like. 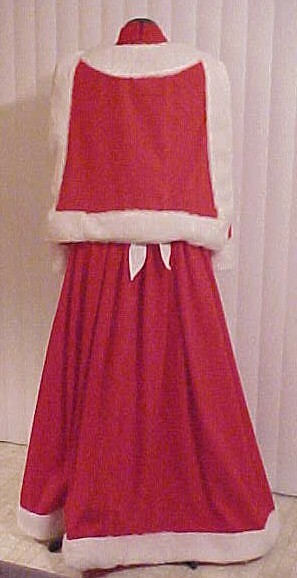 Mrs. Santa is wearing a long red velour dress, with wide white fake fur trim at the hem and cuffs. The dress closes with a zipper and hook & eye in the back. 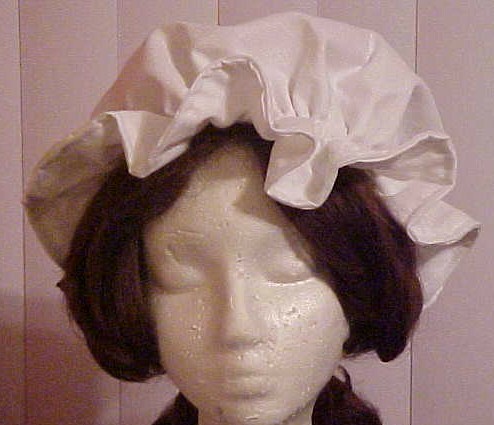 She also has a white apron and mob cap. Her cape is short in the front and long in the back , so it stays out of the cookies. Or if you prefer you can get a short or waist length cape. This is a wonderful costume. 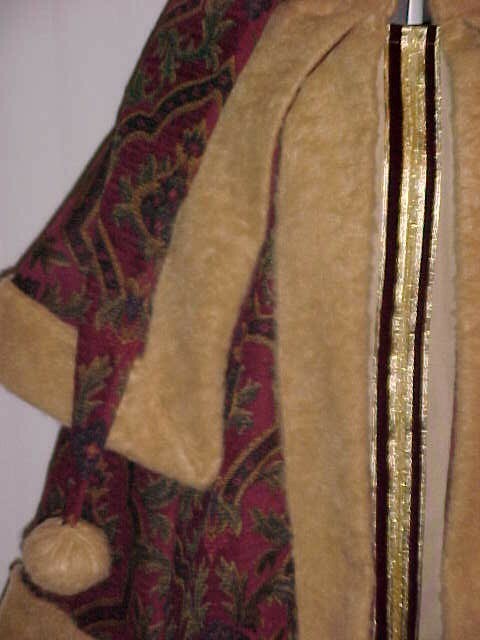 It's coat with attached cape, is made of a heavy brocade fabric with wide fur trim. Notice the hat with it's wide fur band and long tail. 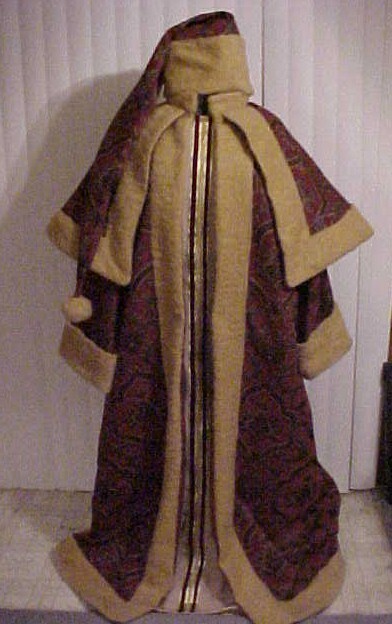 The gown is trimmed in burgundy and gold ribbon. This costume is a size extra large. Other costumes of this style are available in all sizes and many different colors. Here you will find our costumes for Christmas, Valentines, Easter and other holidays. If you do not see what you are looking for please email us. Pictures and prices comming soon. Costumes will be available in white, and pink with white tummies. Visit our Wig Dept for Santa sets, Mrs Clause, Scrooge and Father Time. This is a great elf costume. It is available in adult small, medium, large and XL. There is a place as you go through check out to add the sizes. You can also email with. 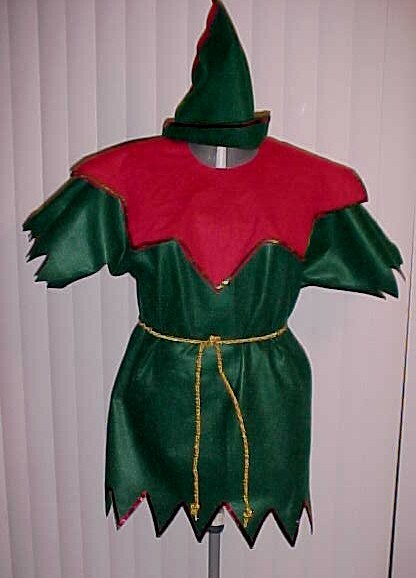 This outfit comes with the green tunic trimmed in red sequins. 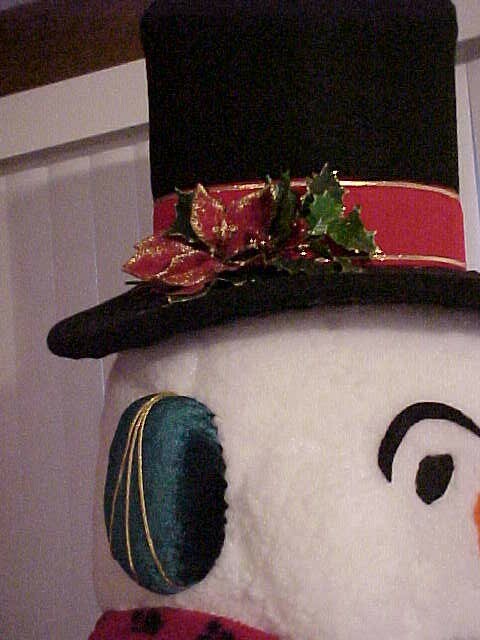 The red color trimmed in gold sequins, and the green hat trimmed in red and red sequins. it also comes with a decorative waist cord. 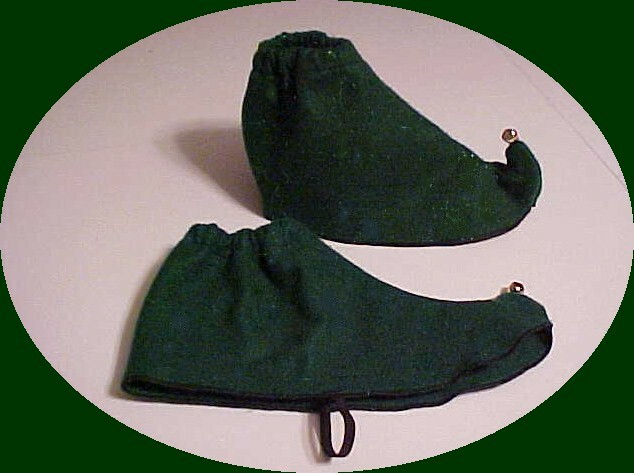 These are elf shoe covers to match our adult elf costume. They have little bells on the toes. A great way to dress up those sneakers. Email for price based on your choice of style and fabrics.